T.I.P. presents February’s featured Youth Ambassador: Morgan Kastner. 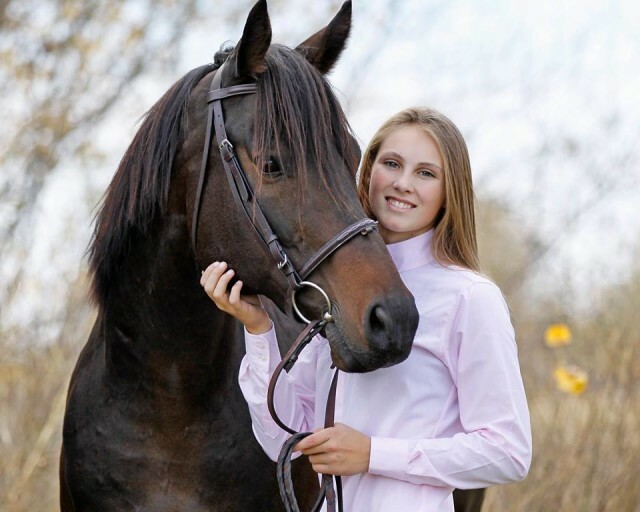 Morgan, 18, is from Minnesota and participates in both Western and English riding. She owns two horses: Sassy and Twista, and leases a third, Spat. Sassy and Spat are both Thoroughbreds. She began participating in T.I.P. spring of 2016 and is extremely passionate about the Thoroughbred breed. In her T.I.P. Youth Ambassador application, Morgan explained that she uses her Thoroughbreds in a wide range of competitions (pleasure classes, trails, games, sorting/roping cattle, dressage, jumping) which gives her the opportunity to discuss the program with many different riders. When I was in second grade my family moved out into the country, one of our neighbors had a horse (Spat) in which I befriended him. At that time, Spat was a stallion and not broke to ride. About six years ago, my neighbor purchased Sassy and he allowed me to ride and show her. What is your favorite thing about riding/or your horse? One of my favorite things about riding is the ability to just relax and clear your mind. Another thing I love about being involved in horses is the opportunities to meet new people and gain valuable life experiences. My favorite thing about Sassy is her versatility and openness to a wide variety of events. My favorite thing about Spat is that he challenges me to become a better rider. What would you like to do when you are older? I would like to be an accountant or manager for a business in the horse industry. On the side, I would like to operate a nonprofit that assists in finding careers for Thoroughbreds and educating owners. Walt Disney once said, “If you can dream it, you can do it.” This has become my favorite quote for a few reasons. Dreaming of something is the first step in starting something new. Some things in life may be difficult and seem impossible to reach but if you can dream it then somehow it is achievable. Sometimes the hardest thing to do is to come up with an idea or goal, but once you think of one you can take it in many different directions and use different methods of achieving it. One of my goals as an ambassador would be to think of ideas to expand the program and then initiate those ideas to increase the participation in T.I.P. How many pets do you have (and what kind)? Currently, I own five cats: [four] barn cats and a Himalayan. I own two horses, Sassy and Twista, and lease Spat. What is your favorite animal (apart from a horse)? My favorite animal besides a horse would be a goat. My favorite color is definitely pink! My favorite food is chicken alfredo. One thing that is unique about me is that I love to attend meetings, even when they last for hours. Another unique thing about me is that I have an obsession with peanut M&Ms. What is one word that your friends would describe you as? One word that my friends would use to describe me would be stubborn. What is one thing you would like to tell people about Thoroughbreds or the Thoroughbred Incentive Program? 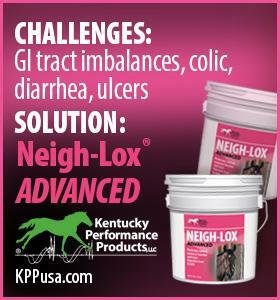 One thing I would like to tell people about Thoroughbreds is that the breed itself is extremely versatile! Most Thoroughbreds are born to become racehorses, not necessarily for specific events such as jumping, dressage, or barrel racing. In the end though, they end up excelling in events they were not initially bred for. I have heard of people using Thoroughbreds for everything from endurance, English, western, and even driving. They are a very rewarding breed of horse that can help you excel in the horse world. What are your goals for your horse in 2017? One of my top goals with Spat is to finish the Minnesota State 4-H Horse Training Program and pass Level 6 at the state level. It is an even bigger goal of mine to win Level 6 at the state level. One of my top goals with Sassy is to qualify to compete at state in Minnesota 4-H’s Western Heritage Program and win goat tying. Overall, my biggest goal in 2017 is to improve my horsemanship so that I can become a better horse owner and rider. I am extremely appreciative to have the opportunity to be a Youth Ambassador for the Thoroughbred Incentive Program! Throughout the past six years I have always been the odd duck with a Thoroughbred. I remember one time a little girl came up to me and asked, “why do you like Thoroughbreds so much?” I love the breed so much and have learned how to understand their strengths and weaknesses. The breed has also opened me up a ton of new experiences such as competing in many different events. It has also opened the door for new opportunities such as attending a youth day at the races to being a part of the Thoroughbred Incentive Program which helps me to connect with other Thoroughbreds owners. I am super excited to see how 2017 goes and encourage the use of Thoroughbreds, those who raced and who did not ace, in all events in my state of Minnesota. One interesting fact is that both of the Thoroughbreds I ride never were on the track. I have only ridden an OTTB twice in my life! The Thoroughbred Incentive Program was created by The Jockey Club to encourage second careers for Thoroughbreds when their racing days are over. The T.I.P. sponsors Thoroughbred-only classes and high point awards as well as Performance Awards, special year-end awards specifically for Thoroughbreds. The T.I.P. also recognizes non-competing Thoroughbreds through its Young Rider program as well as a special award for Thoroughbreds in careers such as therapy horses or other non-profit outlets. 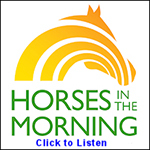 To learn more about the Thoroughbred Incentive Program, please visit the organization’s website.